​classes are held Saturdays and wednesdays from 10 a.m. to 4 p.m. Please bring a lunch and your sailing gear, and boat shoes, (Please no street shoes). Location is: Gate #1 (Near the fuel Docks). Your gps coordinates are tom hams lighthouse RESTAURANT. Prospective crew members must take the required five classes within a three-month timeframe to be eligible to go offshore. We expect everyone to honor scheduling commitments. ​You need not be an expert or seasoned sailor, but you you should have a strong understanding of the sailing principles and have logged at least 25 hours on the water. We think this is the best way to learn the capabilities of the boat as well as assessing the strengths of the crew. Classes are held Wednesdays and Saturdays from 10 a.m. to 4 p.m. Please bring a lunch and sailing gloves, and boat shoes. After you complete the five lessons, we request that you maintain regular contact with Celtic Song and her crew. To do that, we're asking that you schedule at least one training day a month. You can use these sessions to increase your sailing skills or assist and train others in the development of theirs. 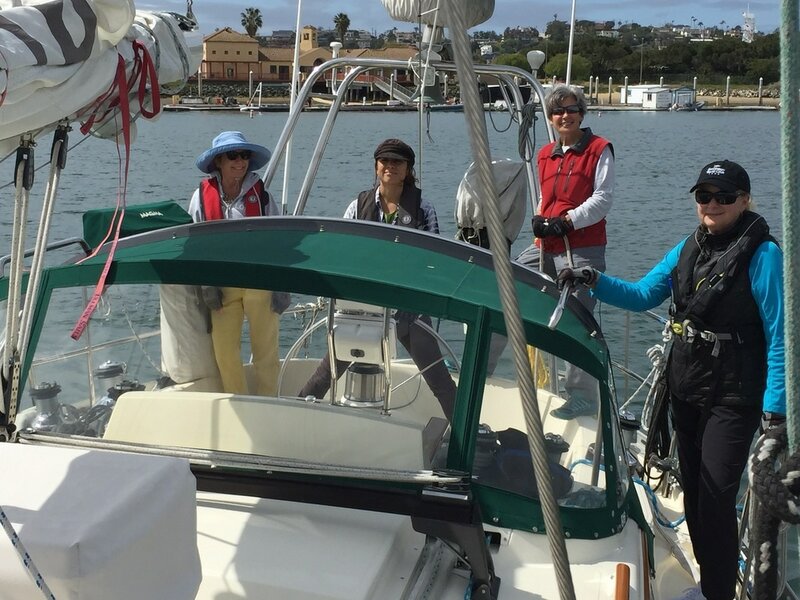 You can only become proficient on the boat through practice, and you can only build strong relationships with the rest of the crew through interaction with them. We all have busy schedules, so if you need to miss a month, you can make it up by attending twice the next month. Please schedule your sessions by using the contact links immediately below. Besides, being on the water is a good way to clear your head, and it's way cheaper than therapy. ​This is the upcoming training schedule. Classes are held Saturdays . Please confirm your attendance with Diane at least 48 hours in advance. Same if you are unable to attend. Also contact her if you would like to attend a session but are not listed. Session topics may be changed at discretion of the instructor and the needs of the crew. The document below describes the ongoing training and knowledge that are part of the Celtic Song training program. It outlines how we will move through the program and provides a way for you to track your progress. Please download the PDF, review it and keep it up to date.